AdBlue Emulator EURO 6 NOx for Renault T/K trucks is fully compatible with Renault T EURO 6 and Renault K EURO 6 series vehicles. Only these series of Renault EURO 6 vehicles supported. This AdBlue emulator also supports Volvo FH4 EURO 6 vehicles. This installation manual describes the whole process of AdBlue Emulator device installation on compatible Renault EURO 6 vehicles. We highly recommend you to delete all DTC (Diagnostic Trouble Codes) errors from OBD (On-Board Diagnostics) system. If you noticed new DTC errors after installation, please recheck the system with the diagnostic scanner because there might be errors related to incorrect installation. For the safety reasons we highly recommend to start the installation by connecting a ground wire first of all. First of all, you need to locate the ACM (SCR system) ECU. Located in the centre of the vehicle (Renault T EURO 6 or Renault K EURO 6) frame next to CCIOM ECU. Please mount the emulator safely nearby the ACM module, and you need to protect it from direct water splashes and high humidity. Now when you located the ACM ECU, you need to connect the emulator to its plug (ACM system plug). There are two identical pairs of wires in the protective pipe, and you need to identify which wires you need to use for the connection. The best way to determine the wires is to trace them by the pins of the plug. 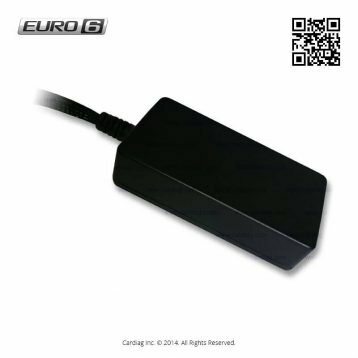 AdBlue Emulator EURO 6 NOx installation manual for Renault T/K trucks was last modified: September 4th, 2017 by Cardiag Inc.